Toronto, April 4: Cyclone Idai is said to be the worst natural disaster to hit Southern Africa in recent memory. Close to 800 people have died across three countries and hundreds of thousands of people have been displaced due to damage cause by the cyclone and the rain and flooding that followed it. Most of Mozambique was caught unawares by the strength of the cyclone and was hence unprepared for the damage that followed. The intense rainfall led to massive flooding and over 1500 square kilometres of Mozambique became inundated as the storm created inland water bodies. As the storm lashed villages in the country, a single mother Amelia who was nine months pregnant with her second baby was preparing her home to keep the flood waters out. She lived in a village near the small administrative post of Dombe, in Mozambique’s Manica province. But without warning, water started rushing in to her hut and all she had time for was to grab her 2-year old son and climb on to a mango tree near her home. She remembers waiting for hours in the tree but then realised that she was experiencing pain from birth contractions. “The pain started, and I had no one around to help me. In a few hours I gave birth to my baby girl Sara, on top of that mango tree. I was completely alone with Sara and my son.” Unbelievable as it is, Amelia says she stayed on top of that tree for two more days after giving birth to her baby girl as the flood waters had not receded. She was helped down by neighbours two days later and was taken to the temporary camp in Dombe. “Baby Sara…now seems to be doing fine despite of her amazing arrival into this world. 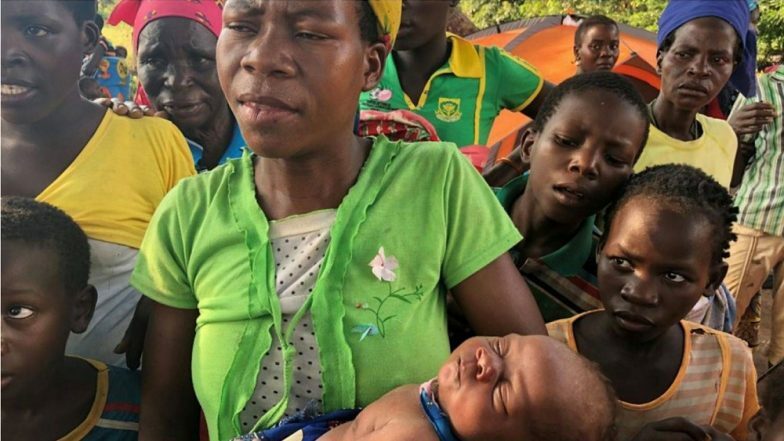 She is being breastfed constantly by her mother Amélia, who is receiving the solidarity and support from the other affected mothers in the accommodation centre,” said a UNICEF representative. Amelia is not the first mother to give birth atop a tree in Mozambique. During the 2000 floods that inundated the country, baby Rosita made international headlines after being delivered in a tree in Chokwe village.